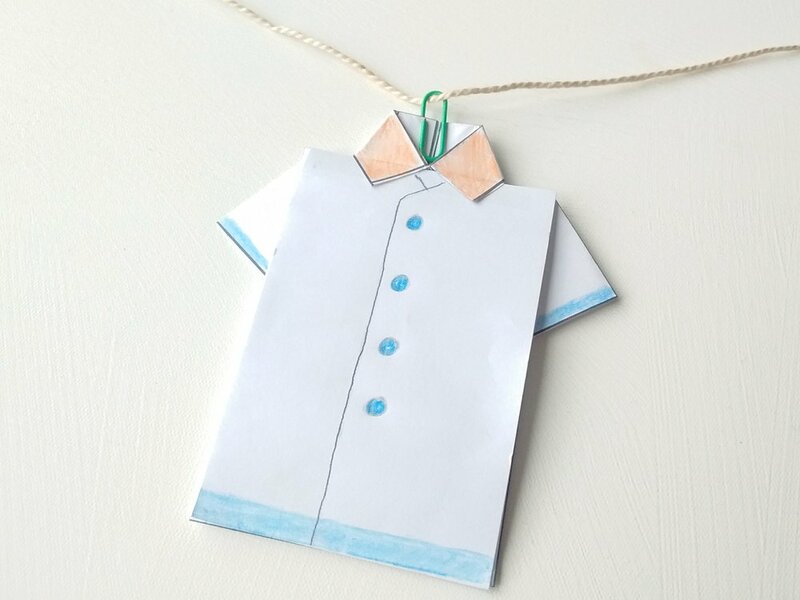 Make a sample jacket so the children know what they are making. 1. 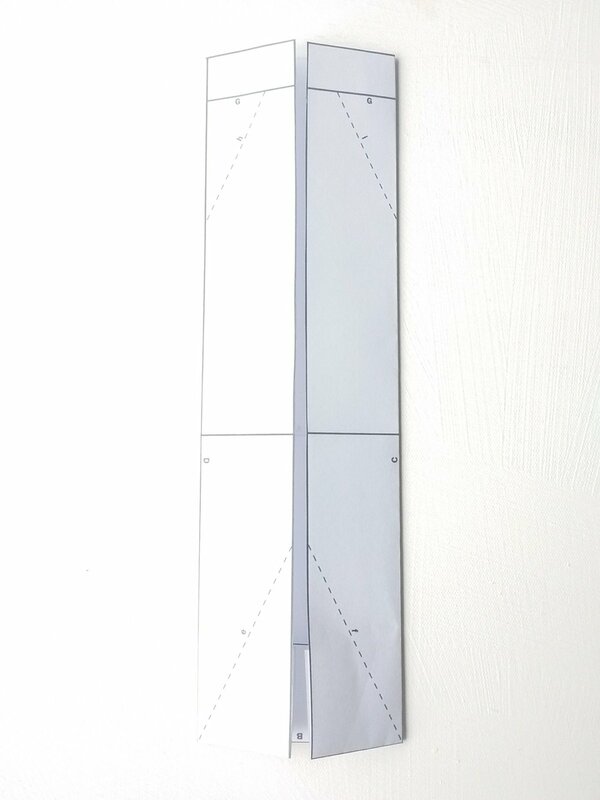 Cut out the template then fold along ‘line A’ so that the line is on the outside of the fold. Unfold the paper and lay it flat on the table in front of you. Fold along ‘line B’ so that the line is on the outside of the fold. 2. Fold along ‘line C’ and ‘line D’ so that the lines are on the outside of the folds. 3. Fold along ‘line E’ and ‘line F’ so that the dashed lines are on the inside of the folds. 4. Fold along ‘line G’ so that the line is on the outside of the fold. 5. Fold along ‘line H’ and ‘line I’ so that the dashed lines are on the inside of the folds. 6. Fold along ‘line A’ again. Tuck the top of the jacket under the collar to complete your paper jacket. 7. Use the felt-tips or colouring pencils to decorate your paper jacket, adding three or four buttons. 9. If you have time hang a long piece of string across the teaching space. Make more jackets and use paperclips to attach them to your ‘washing line’.